As most theatergoers know, cast members who begin a national tour rarely remain throughout its duration, particularly if the tour continues traveling around the country, going from city to city for a couple of years. It’s like a carousel that never stops turning, with actors climbing off while others climb on to take their turn on the ride. This current tour began life in 2016 once the much heralded Lincoln Center for the Performing Arts production on Broadway closed. Now, seventeen months later, the resplendent Broadway revival, it’s fourth, has arrived at ASU Gammage in Tempe. What makes things particularly exciting for valley audiences at last evening’s March 20 opening night performance was this: it was the first time actor Elena Shaddow took to the stage as the English schoolteacher, Anna Leonowens. Her leading role in the tour has officially begun, and it started in Tempe. Looking and sounding practically perfect, with her red hair and a clipped English accent, Shaddow couldn’t help but evoke a pleasing memory of how Deborah Kerr appeared in the 1956 film, only better; unlike the famous Hollywood actress whose songs were dubbed by Marni Nixon, the clarity of Shaddow’s voice is all hers, and it’s a pleasure to hear. Director Bartlett Sher’s production differs from earlier presentations in several ways, beginning with Michael Yeargan’s overall design and epic looking scale. Usually, at the conclusion of the overture, we’re on the deck of the small vessel ferrying Anna and her young son (Rhyees Stump) from Singapore to Bangkok. 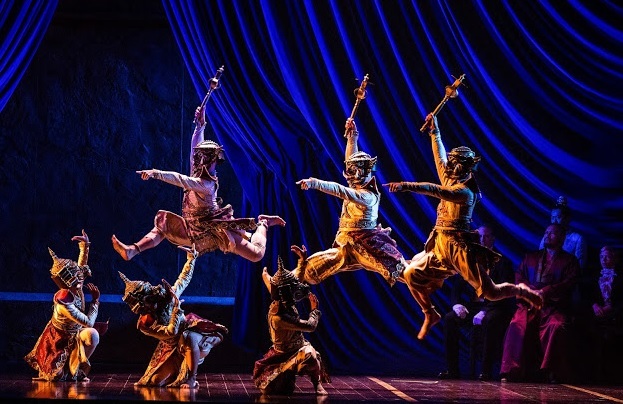 But here, we don’t simply see the ship’s deck; once the curtain rises, against a glowing red background of a striking Siamese sunset, the whole vessel appears to float on stage in its entirety, ready to dock in Bangkok’s harbor, a breathtaking theatrical sight that elicited an immediate round of opening night applause. Plus, in addition to the inventive transitions from scene to scene, the production finally cleans up one of the musical’s glaring narrative jumps. As usually presented, the king (Jose Llana) is at one moment perfectly healthy, the next, he’s abruptly on a deathbed, with little information in between to let us know what has happened and why. Under Sher’s direction, things are made considerably clearer. There’s a moment when the king displays frustration and anger. He’s just about to lash the runaway servant Tuptim (Q Lim), but with Anna watching, he can’t go through with it. With a guttural cry of anguish, he throws the whip to the ground. But just at that moment, he reaches for his heart and falters, practically falling to the ground. It’s a simple piece of new direction, but it changes everything. How things follow from that near fatal collapse feel suddenly natural. However, there are issues. The show has always felt overlong, while the few dramatic conflicts are surprisingly minor for a production so huge. This may account for an energy that dips in the middle of the first act. Plus, opening night mic issues interfered with the clarity of sound, though, admittedly, technical snafus, such as the occasional loss of dialog, should be easily resolved throughout its ASU Gammage presentation. More importantly, the positives far outweigh the negatives. 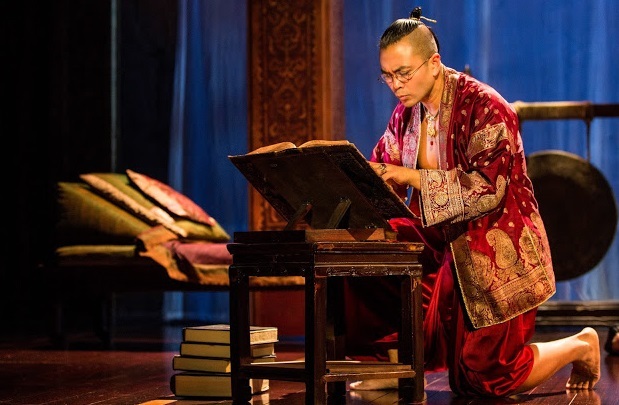 As with any performer cast as the king, Jose Llana has the unenviable task of following in the footsteps of an actor whose very name is synonymous with The King and I. 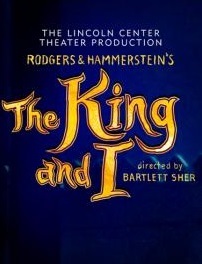 When originally cast in 1951, the then TV director Yul Brynner was unknown – his name appeared in small letters below the show’s title while Gertrude Lawrence as Anna had her name blasted in large print above – but over the years, things changed, and you could rarely think of the King of Siam without thinking of Brynner. Llana, who played the king in the original Lincoln Center production on Broadway, has successfully broke the mold and made the character his own. With a different inflection of voice and a new, animated style of body movements, Llana’s king establishes both authority and vulnerability as a man torn between old traditions and a desire to be viewed as progressive and adaptable in a new, ever-changing world. 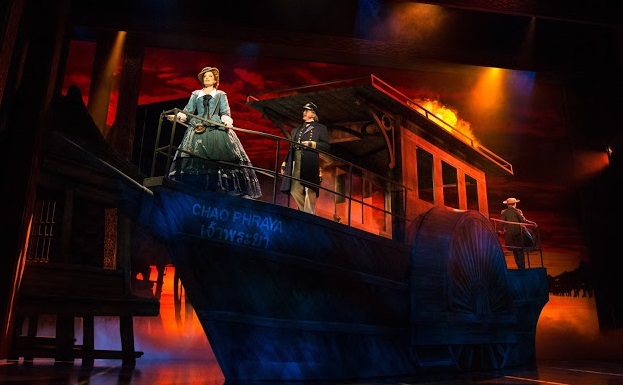 But while there is splendor in the visual design, and in the performances of both Shaddow and Llana whose chemistry works well, it’s the Rodgers and Hammerstein score that remains nothing short of magnificent. Interestingly, when the show was in its development, neither Gertrude Lawrence nor Yul Brynner were considered great singers. As actors they could sell their songs, but their singing range was considerably limited. As a consequence, you’ll notice that all of Anna’s songs, such as I Whistle a Happy Tune, Getting To Know You, even Shall We Dance, are pleasant, mid-range, practically sing-along numbers, specifically designed for Gertrude Lawrence’s moderate style, while the king’s major song, A Puzzlement, is sung in character complete with his heavy, conversational accent. The big numbers, those lyrical, emotional showstoppers where the vocals soar with spine-tingling power, belong to supporting characters, such as Joan Almedilla’s Lady Thiang with the beautifully emotional Something Wonderful, and Tuptim and her secret lover, Lun Tha (Kavin Panmeechao) with We Kiss in a Shadow and the more potent I Have Dreamed. It’s here where both their voices and the songs lift to muscular heights. 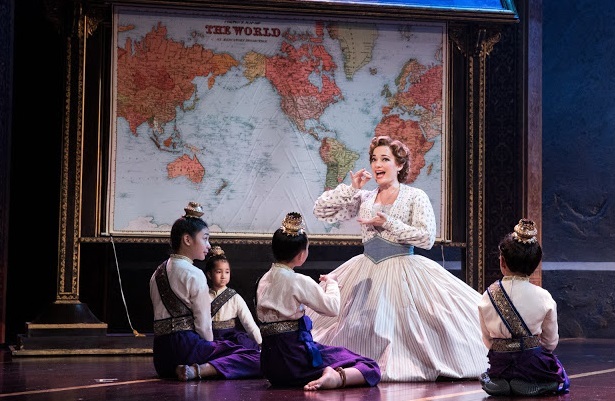 The national touring production of The King and I, seen previously in the valley as reviewed above, has now transferred for a limited run in London, England for a special presentation at the world famous theatre, The London Palladium, Argyll Street, London.